More of Memorial day post. As I mentioned before, along with smoked meat and sweet tea, I baked some cornbread to go with the 'don't mess with Texas' theme. 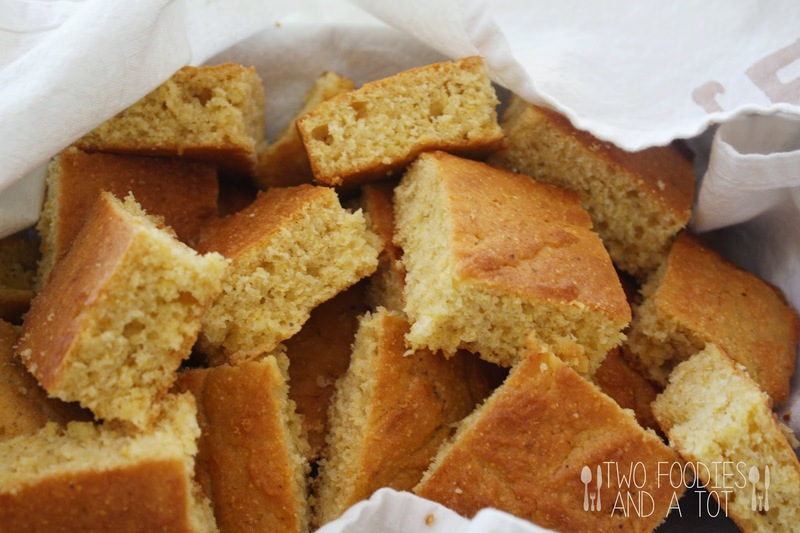 In Dubai, I used to bake cornbread time to time for my good friend who's from Kenya, who loves her cornbread but somehow I never baked it for my party. Texas theme reminded me of this recipe I always loved and I am glad I baked it again! Soft, moist bread with such nutty and sweet taste. So simple and delicious! What I love about this recipe is that, it is so simple that you only need one pot for the batter. Oh, one time I actually thought the batter looked different but since I was in a hurry I just baked it and after all the bread was gone, I realized I forgot eggs! Buttermilk makes it so moist, I didn't even notice I forgot eggs. 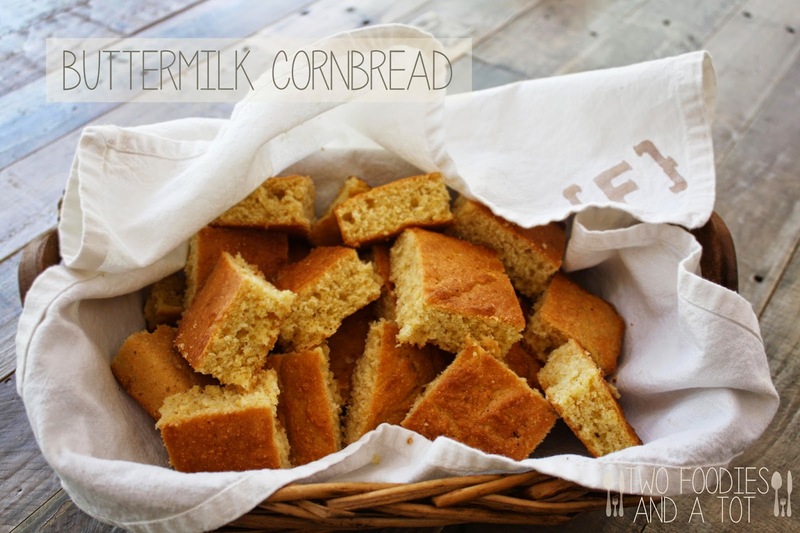 Try this goodness, you won't have to look for another cornbread recipe. 1. Grease an 8 inch square pan and preheat the oven to 375F. 2. Melt the butter in a large skillet, remove from the heat and stir in sugar. 3. Add eggs and whisk until well blended. 4. Combine buttermilk and baking soda and mix it in the mixture. 5. Stir in cornmeal, flour and salt and whisk. 6. Batter will be a little lumpy. Pour the batter into the pan and bake for 30-40 minutes or until toothpick inserted comes out clean.